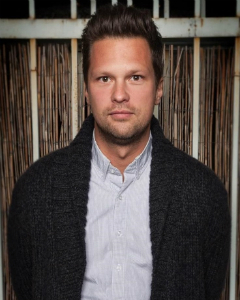 Julian McCullough is a nationally-touring comedian and actor currently starring as the co-host of WE HAVE ISSUES on E! He has appeared on INSIDE AMY SCHUMER, co-starred with Whitney Cummings on the E! series LOVE YOU, MEAN IT, and is currently developing an original pilot at NBC for himself to star through CBS/Paramount. Previously, Julian has been a panelist on CHELSEA LATELY, contributed to THE SOUP INVETSIGATES, had a stand-up special with COMEDY CENTRAL PRESENTS, and appeared on THE TONIGHT SHOW WITH JIMMY FALLON. In addition to his television appearances, Julian has been featured at the JUST FOR LAUGHS COMEDY FESTIVAL, performed his hour at the Edinburgh Festival Fringe, and won the “New York’s Funniest” comedy competition in 2008.